Jesper Jespersen composed direct movers. For more details about him, please visit Problemskak.dk (in Danish). He also composed about 40 studies [thank you Alain!] with good results: 1st Prize, La Stratégie 1900-2, 3rd Prize Rigaer Tageblatt 1895. Pleasant white battery play and variations with dual avoidance. "Henry Hosey Davis, a British chess player, seated in an ornately carved chair"
Henry H. Davis wrote the compilation "Chess problems" in 1906. He composed direct mates and has a very long composing career. A difficult block key followed by many variations, as was the fashion at the end of the 19th century. 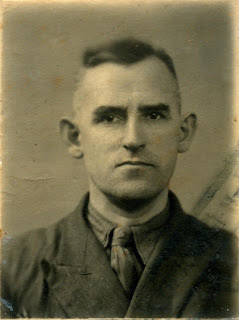 Karel Rodkovský started composing Bohemian direct mates after retirement and published his first work in 1953 in "Lidové demokracii", whose problem column was then edited by Emil Palkoska. 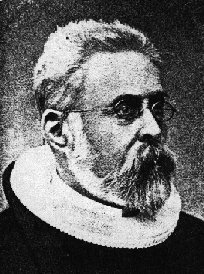 Some of his games played in the Blansko tourney 1902 and in Prague 1900, as well as a few problems of his, can be found on jmss.chess.cz. Peter Philip Schmitt composed direct mates. Probably inspired by Sam Loyd's American Indian, this problem adds the Barnes theme. Marcel Duchamp is considered as a very notable artist of the 20th century. His peculiarity, beyond his unconventional thought and subversive actions, was that he was so infatuated with the game of chess that he almost completely excluded artistic activities. His chess games can be played on chessgames.com. "The chess pieces are the block alphabet which shapes thoughts; and these thoughts, although making a visual design on the chess-board, express their beauty abstractly, like a poem. ... I have come to the personal conclusion that while all artists are not chess players, all chess players are artists." In 1932, Duchamp and Vitaly Halberstadt to publish "L'opposition et cases conjuguées sont réconciliées" (Opposition and corresponding squares are reconciled). You can see on Ubu "A Chess Sonata in 8 Movements" by Jean Cocteau, Marcel Duchamp and Hans Richter and Duchamp's dada film "Anemic Cinema" (1926). Here more to understand Duchamp's works. White to Play and Win was Duchamp's original (teasing?) stipulation. Although the result is still inconclusive, the position appears to be a draw. Ludwig Bledow was a chess player and the founder of the German magazine "Schachzeitung der Berliner Schachgesellschaft" which later became "Deutsche Schachzeitung". He compiled Stamma's works in "Stammas hundert Endspiele". Benjamin S. Wash composed direct mates. According to die Schwalbe, April 2006 A.C. White wrote in 1942 that Benjamin Wash had composed more than 1,000 problems. However White had lost the volume where these problems were recorded and only a small amount of those could be reconstructed. The remaining problems are good enough to make one wonder about the scope of Wash's works. 1.Re7?/Qb7? both fail on 1...Bb5! John Roycroft is an endgame study composer and International Judge. He founded the studies magazine End Game (EG) in 1965. He has composed little, but has written more: for instance "Test Tube Chess" (1972) revised as "The Chess Endgame Study" (1981), one of the best book about endgame studies. He is the co-inventor of the Guy-Blanchford-Roycroft code, an efficient way of indexing endgame studies. a) 1. g8=R! Kc1+ 2. Rg7 = Black cannot progress. Labels: Gfeller, July, Roycroft, Schwarzkopf, Semenenko A.Y., Semenenko V.Y. Edward John Moreton Drax Plunkett, 18th Baron of Dunsany was a famous fantasy writer who inspired H.P. Lovecraft or J.R.R. Tolkien, but he was also a chess player and chess composer interested in retro problems. He invented a fairy variant called Dunsany's Chess. The position of bKd8 and bQe8 implies that the board must be rotated by 180 degrees! Labels: Abdurahmanović, Dunsany, July, Kniest A., Kniest A. H., Persson L.H. Carel Mann was the first Dutch composer with international importance. He enjoyed studies with two Queens and some light figures and his studies and problems often showed Zugzwang. Jan van Reek und Henk van Donk wrote about him "Carel Mann" (1991). An interesting extract, about Carel Mann's paranoid schizophrenia, can be found here. (9...Kc8 10.Sd6+ or 9...Kc6 10.Qa4+ win the bQ). Black is in zugzwang: 1...f5 2.Qh4# or 1...Kf5 2.Qd5# but White cannot keep this position. What can White do? 1...Kh6/Kh5 2.Qh8+ Kg5 3.Qh1 ! back to the initial position, with Black to play. Théodore Herlin published his first problem in 1845 and until 1860 all his originals were published under the name of "L'Anonyme de Lille". He was noticed and is still remembered for his strategic problems and especially for the Herlin ambush. The Herlin manoeuvre: the Bishop places itself behind the fore piece of the battery (pericritical move). In this example, the white King is already placed on the diagonal. First achievement of this task (4 corners by the white Rook). Edward B. Schwann composed direct mates in 2 or 3 moves. Good flight-giving key and model mates. Philip Klett was renowned for composing extremely hard to solve problems, often with hidden zugzwang and many variations. He composed direct mates. In 1878 he published "P. Klett Schachprobleme. Mit einer Einführung in die Theorie des Schachproblems" including 112 problems. It can be downloaded and read from here. The book was reissued 100 years later by John D. Beasley as "A Selection of Chess Problems by Philip Klett, with a solving commentary" (British Chess Magazine, 1978). Erich Racz was a twomover composer. Johannes Kohtz met Carl Kockelkorn when they were still pupils and they engaged in chess composition. They published their first problem when they both were 17. 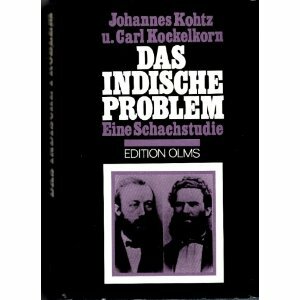 Kohtz and Kockelkorn published their book "Das Indische Problem" in 1903 and "Zur Kenntnis des Schachproblems", a compilation of Bayersdorfer's problems, in 1902. Even after the death of his close friend Kockelkorn on July 16, 1914, Kohtz still published his problems under both authors names. (source: Wikipedia). 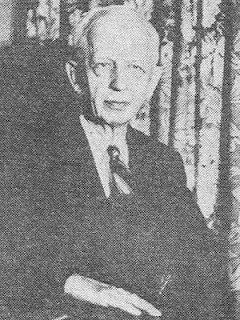 He created the famous Roman theme with Carl Kockelkorn. "A good defence to a threat is eliminated (usually by means of a foreplan) and a bad defence by the same unit (not previously available) is introduced." Zdenek Oliva composes helpmates and fairy problems, especially good series problems. World length-record with a white King minimal and this type of stipulation (serial direct stalemate). Black AUW plus bB and wQ promotions. Consecutive unpinnings of the black units. 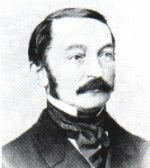 August von Cywinski de Puchala composed direct mates. Ralf Krätschmer quotes Kohtz & Kockelkorn, who wrote in their book "Das indische Problem" in 1903: "Wir halten ihn für einen der größten Schachstrategen" [We consider him as one of the greatest chess strategist] while Walther von Holzhausen thought he was the most significant foreplan master of the early period ("als den bedeutendsten Vorplan-Meister der Frühzeit"). Ralf Krätschmer provides more details on his site berlinthema.de. After 2...Bxe4 the black Rook is obstructed and can no longer guard c4 and in the same time free the flight square d4 for the black King. Labels: Darvas, Husserl, July, Neistadt, Rayner, Shumarin, von Cywinski de Puchala, Werner L.
Sergey Pimenov was a twomover composer. 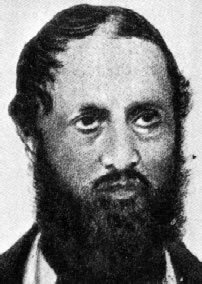 Ionel Razu composed mostly direct mates. A nice flight-giving, check-allowing key and good battery play. Not much can be said about Percival Fothergill, except that he bears the name of a superhero and he composed direct mates. Santi Pirrone was just a solver when he was encouraged to compose by his friend composer Umberto Castellari. Otto Wurzburg was the nephew of W.A.Shinkman. He composed more than 1200 problems in 3 or more moves. He gave his name to a form of the Plachutta theme, the Wurzburg-Plachutta, whose definition was explained by Emmanuel Manolas on his blog. Edgar Holladay compiled 200 of his problems in "Wurzburg Artistry" (1974) and Valery Surkov proposed many of his problems with their solutions on his website [broken link]. József Szén was a strong player and his strength deployed itself all the better in the endgame. He discovered what is now called the Szén position, a defensive drawing position in K+R vs K+R+B endgame. "Szén's position is the most important for over-the-board players. Compared to the Philidor Position, the kings are not opposite each other and the defending rook can prevent checkmate. The position is a draw only if there is enough room for the defending king on the side with the rooks" (Wikipedia). The solution was published in 1838 by G. Walker and the English problemist William Bone. Karl Kaiser composed direct mates. Labels: Földeák, July, Kaiser, Karbowiak, Osintsev, Petrov D.F. Knud Fabricius-Lauritzen composed direct mates. Adolf Anderssen was a mathematics professor and one of the world's leading chess players in the 1850s and 1860s. He is renowned for two spectacular games, the "Immortal" and the "Evergreen". 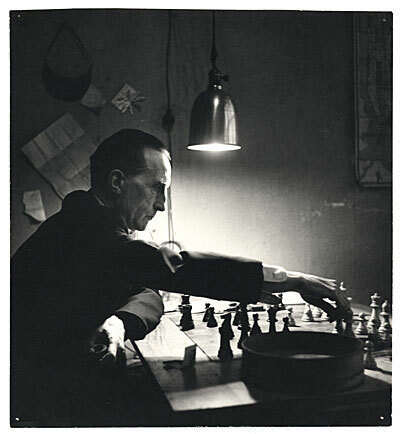 He was also (Wikipedia) "a very important figure in the development of chess problems, driving forward the transition from the "Old School" of problem composition to the elegance and complexity of modern compositions." He was the author of "Aufgaben fur Schachspieler" (1842) which can be downloaded from here. Two of his most famous and often reproduced problems are this #4 with the Anderssen mate and this #4 with pin mate and critical move of the wR. A delicate march by the white Bishop. 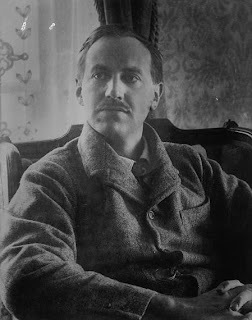 Cyril Dedrle was a Bohemian threemover composer. I.Mikan and F.Macek compiled Dedrle's works in 1974 in the 11th volume of the collection "Galerie československých skladatelů" (Gallery of Czech composers) which can be read here.